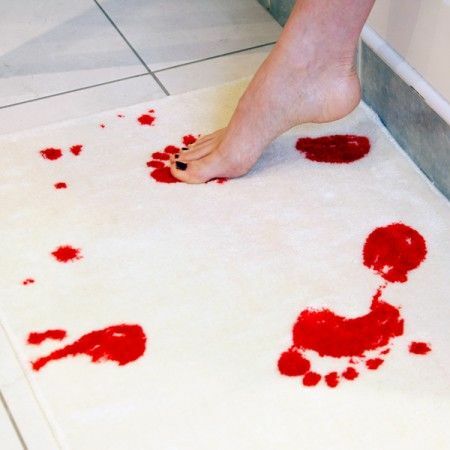 Make your bathroom look like something straight out of a Hitchcock-esque horror movie with this bloody bath mat. This bathmat is dyed (no pun intended) to look like the last person in the shower may have been a little naughty. It’s a great way to keep company from coming back.